Ringed pearls in a rich shade of chocolate make for a tempting treat. 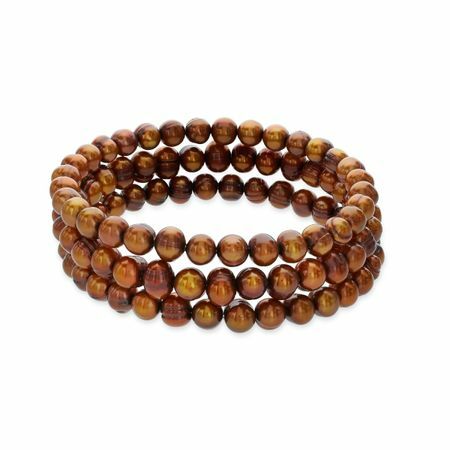 Set of 3 Honora bracelets features glossy freshwater chocolate ringed pearls measuring 7-8mm and stretches to fit. Piece measures an adjustable 8 inches in circumference.